The Barristar Beauty School Forum is such a useful show for beauty school students and instructors. 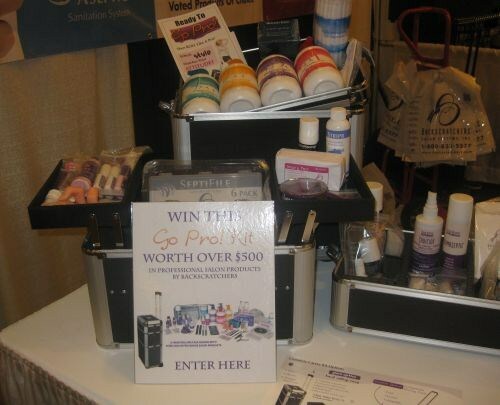 It’s one of the most affordable shows to attend — for the Anaheim show this past weekend, students got in for $15 and instructors got in for free — and it’s one where the exhibitors are willing to spend time addressing all of the concerns that newbie beauty professionals have. NAILS’ west coast sales manager, Michelle, and I went to the Anaheim show on Monday. (I also went to the Burbank forum last fall.) If you missed that show, don’t worry: Barristar does about six beauty school shows a year. You can find out about other ones on NAILS’ event calendar. 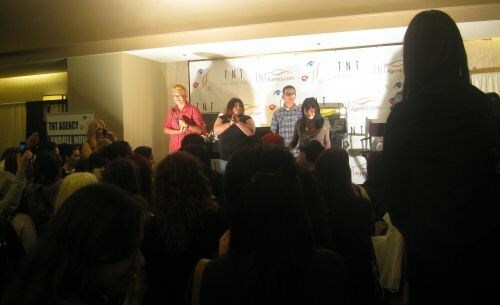 Run by the Long Beach Hairdressers Guild, the show competition was so cool. It was held outside the ballroom, so that families and friends of the competitors could watch without having to pay the show entry fee. Here, the nail competition is being judged. The competition is broken into parts — nails, make-up, and hair — with each part being judged separately, plus a team score for the whole package. Inside the ballroom, the show’s stage was full of energy. A crowd gathered to watch the demonstrations. Backscratchers gave away a “Go Pro! Kit,” worth over $500, to one lucky attendee. 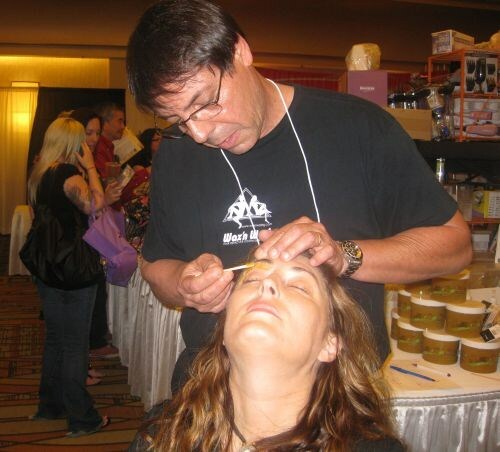 Wax N Waxing offered free brow waxes to showcase its products. 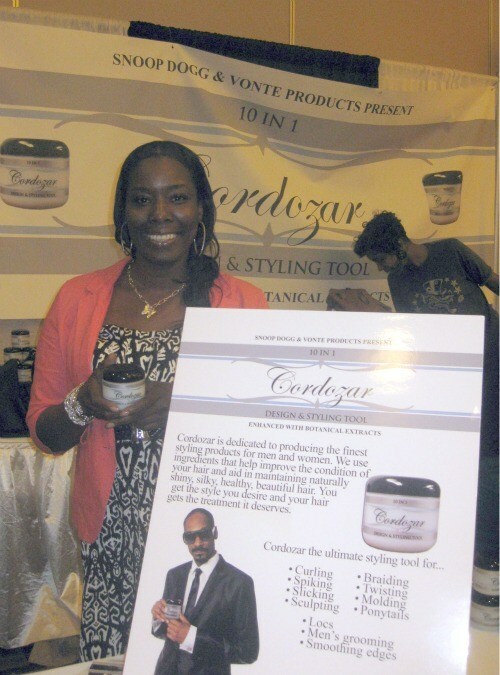 Snoop Dogg’s personal stylist Tasha Hayward, who grew up with Snoop in Long Beach, was on hand to help launch Snoop’s new hairstyling product Cordozar, an alcohol- and water-free formula designed in conjunction with Vonte Products.